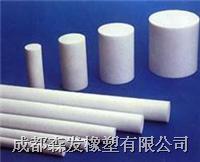 SEEFAR RUBBER PLASTICS CO.,LTD molds SEEFAR® brand PTFE rods and cylinders from 1” to 62” diameter. With virtually unlimited tooling combinations, we can provide you with the basic shape that most closely matches your finished requirement, minimizing machining and material loss. Custom sizes and lengths are available. Additional fabrication, machining, and milling are offered through our in house machining and fabrication facility. All molded PTFE can be furnished with one or more etched surfaces to ensure excellent bondability. We also provide rods and cylinders bonded to a board to facilitate your machining. Molded PTFE rods and cylinders are available in a wide variety of virgin and modified resins as well as PTFE compounds. Style SF-F1 – Premium Virgin PTFE sheet manufactured from only the highest quality PTFE resins available. Style SF-F1 is ideal for a wide range of applications and especially useful in those demanding applications were only the highest mechanical and electrical properties will suffice. StyleSF-F1is particularly useful in those applications where only the highest purity product will meet your stringent requirements. Style SF-F2– High quality virgin PTFE for those challenging applications that demand material that can withstand a broad temperature range and provide excellent chemical resistance. 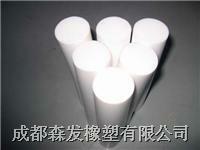 Style SF-F3– Virgin Modified PTFE. Exhibits enhanced sealing, weldability, and permeation resistance. Modified PTFE also exhibits a much better machined surface finish. Style SF-F4 – Premium glass-filled PTFE manufactured from only the highest quality resins and fillers. Style SF-F5 is formulated for use where increased wear, creep and cold flow resistance are important requirements. Style SF-F5 – High quality glass-filled PTFE for applications where enhanced rigidity and wear are required. THP - High Purity PTFE for critically clean environments such as those found in the medical and semiconductor industries. 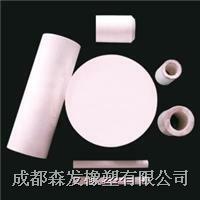 High Purity PTFE is processed and packaged in a clean environment.